The following poem, called “Miriam’s Song,” was written by contemporary American poet named Eleanor Wilner. 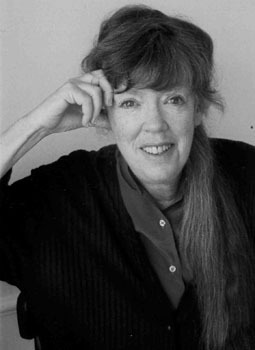 Born in Ohio in 1937, Eleanor was on the faculty of the MFA Program for Writers at Warren Wilson College. She lived part of her life in Philadelphia. It strikes me as a beautiful addendum to my previous post, on women’s role in the Exodus. The first fruits to the gods of men. with the wail of Egypt’s women. of tomorrow. She watched it drift a little from the shore. for another, one Egypt for the next. 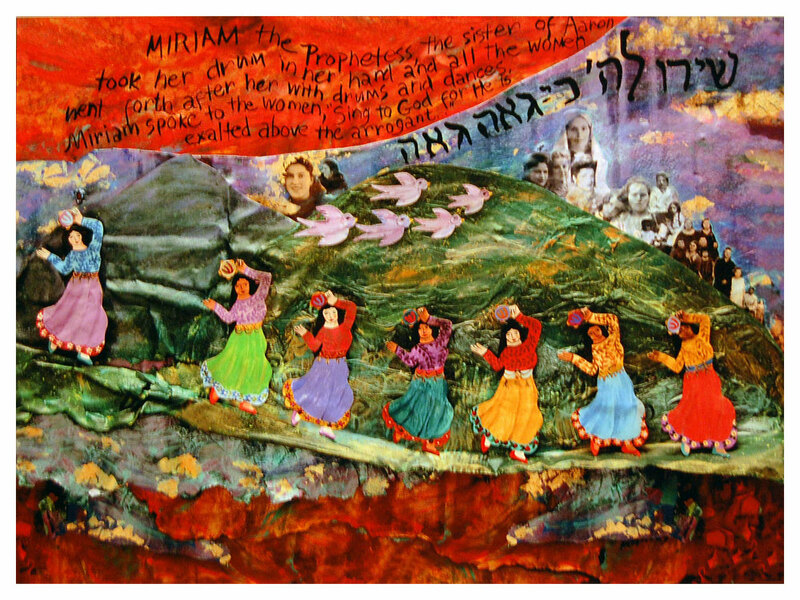 To hear an NPR podcast about Exodus and Wilner’s poem “Miriam’s Song,” click here! This interview first aired On Being in 2005 and includes an interview with Aviva Zornberg. Zornberg is a scholar of Torah and rabbinic literature, and author of several books including The Particulars of Rapture: Reflections on Exodus. This is the pattern we see in the famous story of the Exodus. Each is a stepping stone in the great circle of life. First we have the Pharaoh of Egypt, a powerful yet fearful man who has grown paranoid that the population of his Hebrew slaves is becoming too great, and might one day overpower him. So, he issues a decree that all firstborn sons be killed. Death. A loving sister named Miriam takes her baby brother and releases him to the fates of a raging river, in the hopes he will survive. Water. He does survive. And it is Moses’s survival that will make possible the transformation of the Hebrew slaves into the Israelite people — a free people on their own land. Rebirth. But even within this story’s mega-journey from Death, Water, to Rebirth, we also witness smaller inner-journeys that mimic this same pattern. The Exodus story begins with God deciding that enough is enough; he will no longer tolerate Pharaoh’s cruelty against his people. Through Moses, God sends 10 plagues. The plagues culminate, each more horrible than the last, until the final plague. Death to the Egyptians! But it not just death to firstborn sons. (You might have thought this. This is how it is depicted in the famous Charlton Heston movie about the Exodus.) But the movie was wrong! That is not what the texts say. The Torah says that the edict of death was for the firstborn of all the people and even of all the animals in the Egyptian kingdom. Did you know? Pharaoh’s daughter was a first-born child. The woman who plucked Moses from the reeds and raised him as her own son, she was destined to perish in the 10th plague. But, she did not perish. P’sikta D’rav Kahana 7:7 — a 5th century rabbinic text — tells us that Moses prayed for his adoptive mother. The text gives her the name of Bithiah. Moses’s prayer invoked a passage from Proverbs 31:18 about a “woman of valor.” According to this passage, the lamp of a woman of valor never goes out at night. P’sikta D’rav Kahana understands this to be a metaphysical reference to Pharaoh’s daughter, whose soul was not extinguished on that terrible night. But, let us return to our circle. We have Death — again — of innocents, of children. Just as Pharaoh decreed, so decrees the Hebrew god. With the plague of death unleashed upon his empire, the exhausted Pharaoh finally relents and let’s his people go. So eager is he to see the Hebrews leave, Midrash tells us, that he leaves all of the slain first-born of his kingdom, unburied, broiling, sweltering, left to rot where they had died. He did this not out of callous indifference, but rather because he ordered the Egyptians to help the Israelites pack up their belongings and get out — lest there by any further delay in their departure. After Death comes Water. The Israelites collect their sheep and their ox, their blankets, and their bread — which had not had not even had time to rise — and they flee for the relative safety of the desert. Eventually, they arrive on the shores of another mighty river. No longer the River Nile, they are now on the banks of the Sea of Reeds. But, the story tells us, Pharaoh had a change of heart. He let the people go — but then he sent the Egyptian armies out after them. As well-armed chariots and soldiers were advancing upon Moses’s bedraggled bunch, the waters of the great river miraculously part, enabling the entire Hebrew people to walk through its waters. Just as the last of them has cleared the way, the waters come crashing back down, drowning every last one of Pharaoh’s men. Pharaoh is the only survivor, and he left to hear the death cries of his entire kingdom. 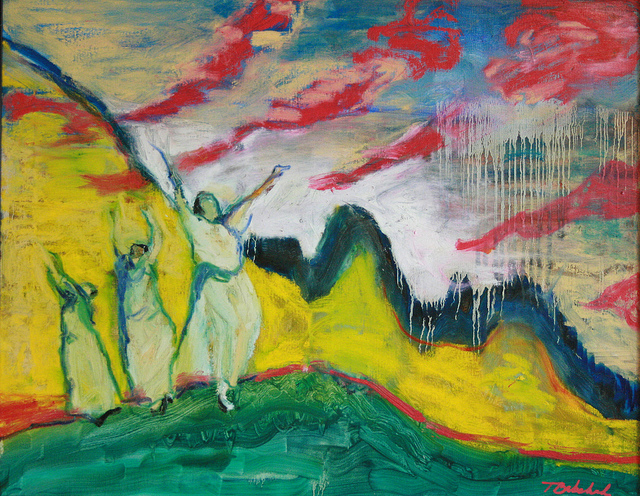 The Israelites break out into song, celebrating their deliverance. It is one of the most famous poems in the Bible, known as the Song of the Sea. 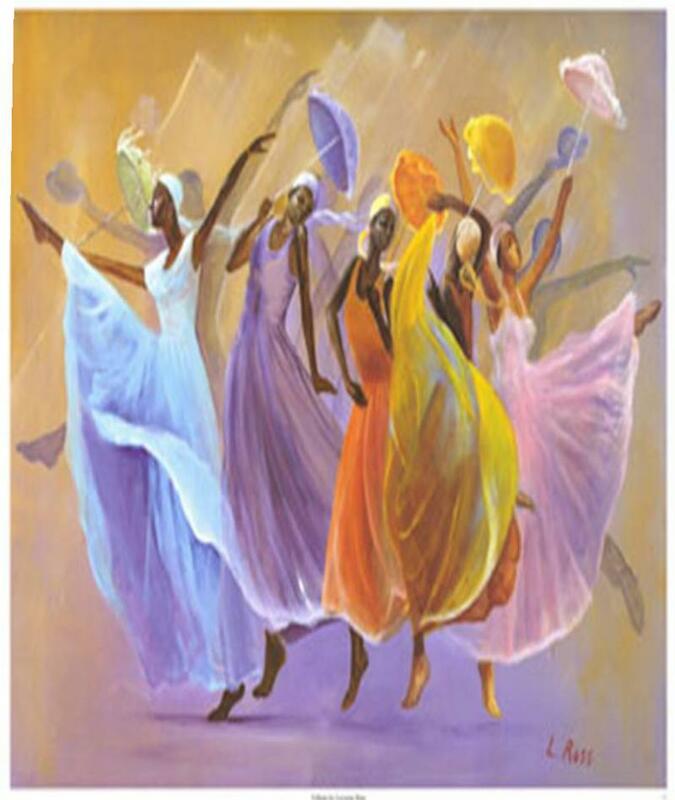 And it is here, at this moment of Rebirth, that we see Moses’s sister Miriam again taking center stage. Death, Water, Rebirth. Miriam has been a major actor in every step of this circle of life and redemption. Shared on Flickr.com. If you know the artist, please email me! What I am about to tell you is a secret. It’s a secret because it isn’t told in the Torah, or in the Maxwell House hagaddah you grew up with, and is probably not found in many of the other dreadful hagaddot you have seen or read in your life. They were all written by men, for men, about men. 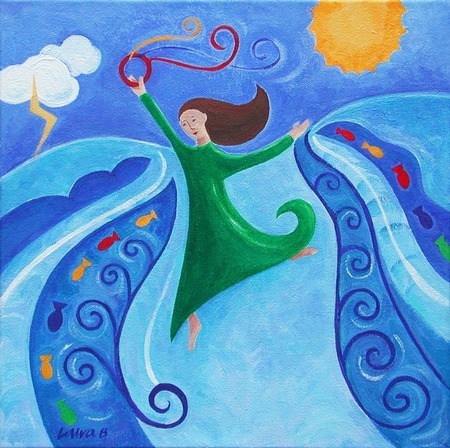 The Torah’s Song of the Sea begins at Exodus 15:1 and says this: “Az yashir Moshe u’bnai Israel et Hashira Ha-zot l’Adonai, v’yom’ru …” In other words: “Then Moses and the Israelites sang this song to Adonai, saying,…” What follows is a victory poem cheering the Hebrews’ deliverance over Egypt, and hailing God as the ultimate warrior. What the poem doesn’t tell us, but what modern-day scholars know, is that it was usually the women in a society who create the victory songs of war, not the men. The men are the ones off fighting the battle. It is the women, nervously waiting back home, who craft the melodies and the words that impassion this style of poetry. Victory songs belong to a genre of literature composed by women and used to greet victorious troops after battle. It was probably a mistake. I can so image in the poor schlub — the professional scribe — who may have lost his job over it. But, maybe not. Maybe, this “mistake” was intentional after all. Maybe what this text reveals is a tantalizing, almost maddening clue that somewhere deep in our collective subconscious, in the verbal traditions of our people, we knew all along that it was Miriam — and not Moses — who led the people in song after the redemption. Death. Water and Rebirth. It turns out that the Exodus story begin and ends with a woman. It began, and ended, with Miriam. Image shared on Flickr by tbabchak. 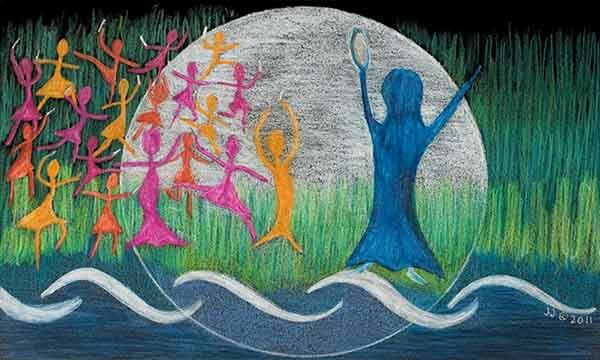 This is why, today, more than 1,500 years after the Passover seder tradition evolved in Palestine and Eastern Europe, we women gather to have what we call a “women’s seder.” Because it is here, with the love of sisters, mothers, and friends, that we may relish the joy in sharing the rest of the story. Father gives daughter away at a wedding with a laugh and a tear: It’s perfect! In Judaism, we don’t have a tradition of mothers or fathers giving a speech after they walk their daughter or son down the aisle. Here, however, is an example of how it can be done so beautifully, with the right person and the right words. The video clip is a few minutes long, and really worth watching — especially if you want an example of a perfect way to deliver a speech during a marriage ceremony!